Northern Rangelands Trust (NRT) oversees 33 community conservancies and is dedicated to developing the capacity and self-sufficiency of its constituent communities who in return protect their wildlife and habitat. Giraffes, rhinos, lions, zebra, antelope are just a few of the species benefitting from this protection through the patrolling of armed wildlife rangers who risk their lives daily in the fight against poachers. The work of the anti-poaching teams has led to significant declines in elephant poaching throughout NRT reversing the trend which had been steadily increasing since 2010. Populations of lions and giraffes are increasing in numbers and not a single rhino has been killed for over two years. NRT rangers forego comfort and safety on a daily basis. 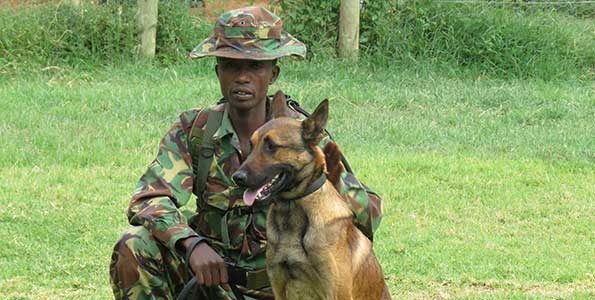 They take pride in wearing the uniform, a symbol to the public and poacher alike that they have pledged their lives to the protection of life, property and wildlife. Remember: December 31 is your last opportunity to make a tax deductible donation in 2016.